So, what do we do with the YouTube block, at the bottom-right section of our frontpage? Conclusion? It's going to stay! How else would be be able to see weird things like this? A laugh a day keeps the doctor away! The next poll is a reflective one, it's about you and MSX software in the broadest sense of the word. If each of you would make a list of MSX software you know, chances are that these lists would all be reasonably comparable. It's so easy to mention the best games from the best software houses, it's a piece o' cake to mention the best utilities, demos and music disks. But there's way more out there! 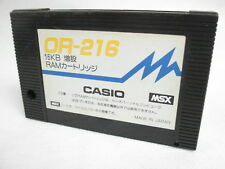 If you'd find collections with MSX1 games then chances are you'd see games you'd never heard of. And are you sure you've seen all the MSX demos from the earliest MSX scene, with greetings to people you've never even heard of? Have you typed over all the listings from major MSX magazines? Especially if you actively emerged into the MSX scene during the 90's, where your days were filled with coding, designing or composing, chances are that you wouldn't be able to keep up with gaming and all other MSX software anyway. So, that'll be the question for this poll. 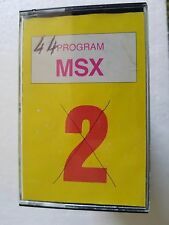 How much MSX software have you seen or used, approximately? 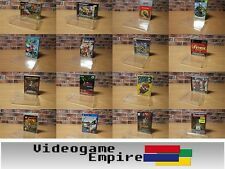 This includes all commercial games (including disk magazines like those from Compile), all scene games, all scene demos and demos for cracked games, music disks, scene disk-magazines, tools, utilities, listings from magazines etc. It'll be a number in the thousands.. think twice before you vote! Have you checked out our freeware download database (which includes challenge entries)? Have you checked out Generation-MSX already? Have you seen the amount of scene groups in our scene-wiki? Have you checked all the "not so official" download locations on the net? Again, chances are that your initial estimation might be a bit off, so give it some thought prior to voting!